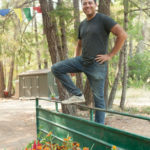 Gomde California c oordinates the Rangjung Yeshe Gomde Northern California Dharma Practice Group, offering those members of the Gomde California community who live in the greater Bay Area the opportunity to practice and spend time together as a sangha. The group takes its direction from Chökyi Nyima Rinpoche, and is led by our lineage teachers and Rinpoche’s senior students. 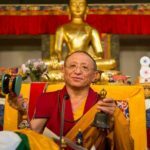 We focus on the practices that are central to Chökyi Nyima Rinpoche’s tradition, and which are regularly practiced at Gomde California, other international Gomdes, and at Rinpoche’s monastery in Nepal. The group meets one Sunday morning a month from 10am – 12:15am. To connect with the group, please email rybasp108@gmail.com or call Dez Kuimelis at 707-480-9961. 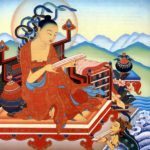 Sangha members living in other areas are encouraged to coordinate study and practice groups. Please contact Lama Gerry Prindiville if you would like to start a group in your area. 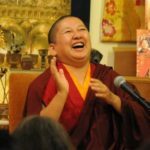 Gomde California c oordinates the Rangjung Yeshe Gomde Northern California Dharma Practice Group, offering those members of the Gomde California community who live in the greater Bay Area the opportunity to practice and spend time together as a sangha. 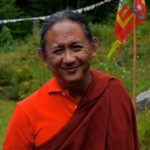 The group takes its direction from Chökyi Nyima Rinpoche, and is led by our lineage teachers and Rinpoche’s senior students. 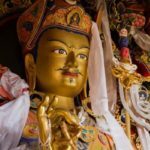 We focus on the practices that are central to Chökyi Nyima Rinpoche’s tradition, and which are regularly practiced at Gomde California, other international Gomdes, and at Rinpoche’s monastery in Nepal. Everyone is welcome, we hope you can join us! The group meets one Sunday morning a month from 10am – 12:15am. To connect with the group, please email rybasp108@gmail.com or call Dez Kuimelis at 707-480-9961. 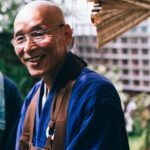 Sangha members living in other areas are encouraged to coordinate study and practice groups. Please contact Lama Gerry Prindiville if you would like to start a group in your area.